Getting paid is important, but the way payments are made is equally as important. Your company records must reflect correctly the way that directors, employees and shareholders have received money. There are three ways that directors, employees and shareholders will normally receive payments from a company day to day; salary, dividends and expenses. inniAccounts will help ensure your records for each of these are accurate. It is important that you follow the correct procedures before paying yourself. A simple rule to follow before making payments from your company is to record the action in inniAccounts first. Getting it wrong can result in HMRC determining that additional tax must be paid. Each month you will probably pay salaries to your company directors and if you have any, your employees. Before paying salaries your automated payroll in inniAccounts must create and submit the payslips to HMRC. When HMRC have confirmed to us that they have accepted your payslips we will let you know in an email and you’ll see a message on your dashboard. You can then make the salary payments from your business bank account to the personal accounts of directors and employees. When your company has sufficient profits you might decide to pay your shareholders a dividend. For dividends to be formally recorded they must be documented with dividend vouchers and minutes of a meeting before any payments are made. There are no rules on how often dividends can be paid provided the company has sufficient profits. To check the available profits within your company, first ensure your records are up to date including your bookkeeping, then follow the steps to create a dividend. The software will display what profits are available to help you decide what dividends to pay. Although not a form of income, you or your employees may occasionally pay for business expenses using personal money. Your company will need to reimburse the expenses to you or your employee so no-one is left out of pocket. It is recommended that business expenses are paid for using a business debit card whenever possible. This helps ensure your record keeping is kept as simple as possible to save you time. If an expense is paid for in cash or if your employee doesn’t have a business debit card, the expenses need to be recorded in the expense section of inniAccounts. This allows automatic handling of reimbursement of the out of pocket expenses through the next payslip or directly via a bank transfer. A personal vehicle might also be used for business use. On these occasions the business related mileage in a personal vehicle needs to be recorded in the mileage log. Again, this allows automatic handling of the reimbursement of the business expense from the company to yourself or employees. Recording all expenses ensures that the correct tax treatment can be applied and hence reduce your tax bills. How can we correct payslips from the past 7 months.my husband opened a company and his accountant never told him about the fact that he should always pay himself salary and should not withdraw money for personal use. As a director of his own limited company your husband can take salary as long as a payroll scheme has been set up. If your husband does not have a payroll scheme set up then he would need to speak to his accountant to resolve this. As the 7 months straddles two tax years this creates an added complication, however any money taken from his limited company that is not supported by a payslip or dividend minutes would be treated as a directors loan. As your husband is likely to be a shareholder then these historic distributions (if supported by dividend minutes at the time of payment) would be reportable as dividend income. my name is france i own 60 % and partner owned 40 % how do we pay salaries ? If you are a director/shareholder of a limited company owning 60% of the company then you will receive 60% of the dividends. Likewise, your partner will receive 40% of the dividends. Salary is different to dividends and must be processed through a payroll system. Our bespoke software allows our clients to set their own salaries and submits their payslips to HMRC. hi there, I’m hoping you can help me. I’m soon going to be the director of my own limited company also the sole share holder. my question is do I have to make dividend payments or can I just leave them in my company and if I can leave them in my company would that require any paperwork? or is paperwork only needed when paying out a dividend? You can leave any profits in your limited company and draw them as dividends in the future. so i have ltd company and i am a director and shareholder . my company as a e-commerce we are going to atart really soon. my question is how iget paid myself as a director if i want take some profit fro my business account. i mean will be for me different every time because i don t know if this month i will sell something o not. i hope make sense it. and as well i put money on my business account for Pay different service for my website and i have it invoice is a corrext way to do that? Owner managed companies generally set up tax efficient salaries for the directors and then top up with dividends. Hi there, we have a start up company with 3 directors. 1 of the directors will be working there full time and will need a monthly salary. I’m trying to figure out what is the best most tax efficient way to pay this person while remaining inside the law? Generally speaking, when paying directors it is tax efficient to have a salary up to the national insurance threshold and then top this up with dividend payments. However as dividends are not guaranteed and only distributable from available profits, the full-time director may wish to have a set income. It would be worthwhile all 3 directors agreeing on a remuneration policy for the company and each director separately based on their contributions. I’ve set up a limited company for locum nurse services. It is just me as a director and what I earn will generally be my salary minus the months when I need to buy new uniform, equipment etc. As the only director do I transfer the money I earn into my personal account on a weekly basis (this is how often I invoice) leaving x amount in the business account for tax at the end of the financial year or should I also be compiling a payslip? I have set up an excel sheet documenting income, outgoings such as uniform expenses, stethoscope etc then my salary with a running total each week. Is this enough or do I need to also compile a payslip as well for money I transfer into my personal account as a salary? If you wish to take a salary from your limited company then the company will need to set up a payroll scheme and process your salary through this. When the payroll has run each month, this is when you’ll be able to withdraw funds from the company in line with the net amount payable to you. You can also take dividends from your company, however, you need to ensure that the appropriate paperwork is in place before doing so. 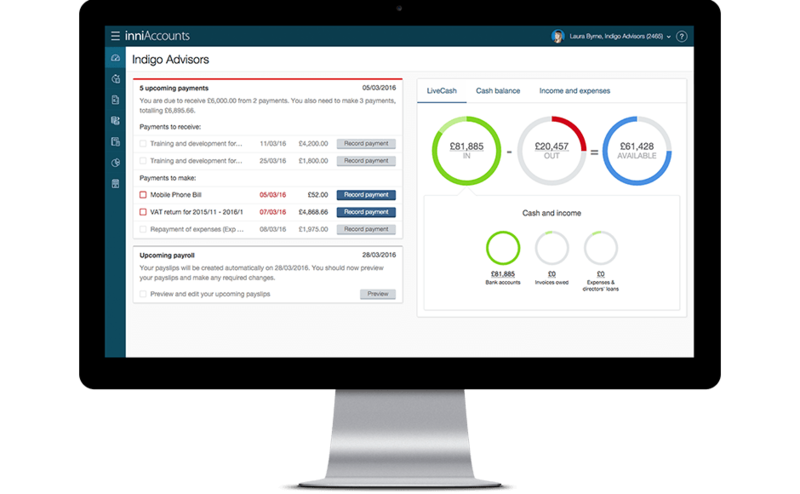 You can operate your company’s payroll and issue dividends through our bespoke software so if this is something you’d like help with please get in touch.